The Christmas page at mormon.org/christmas centers on the reason for the season—Jesus Christ. And you are invited to help spread the message. Please help people understand that Mormons are Christian. The messages on this page emphasize a Christmas season centered on the Savior, family, love, service, and worship. 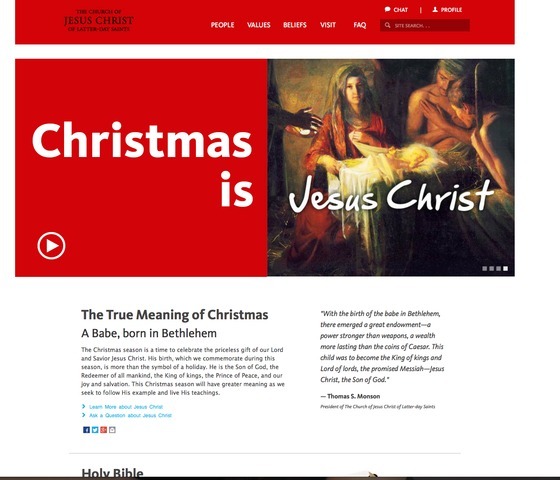 Below are images from the mormon.org/christmas site.